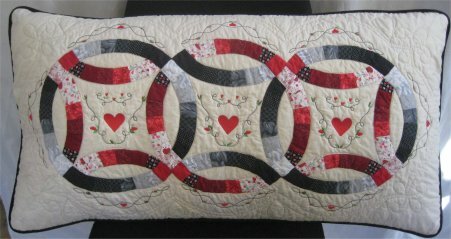 In October 2009, I finally finished a long deferred Double Wedding Ring quilt. Since I had some rings leftover, I wanted to do something with them but NOT another quilt! :-) As I laid the rings out, it seemed to me that they would make a lovely body pillow ... one of those long pillows that people cuddle with. 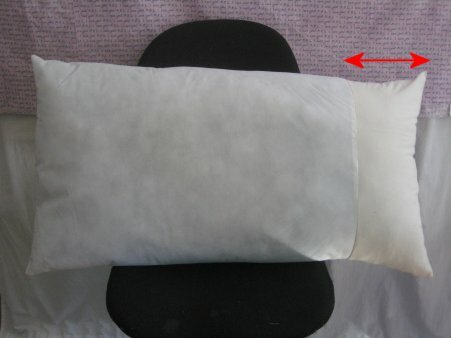 The red arrow in the picture on the left shows the modification I made to make the standard pillow the size I needed. 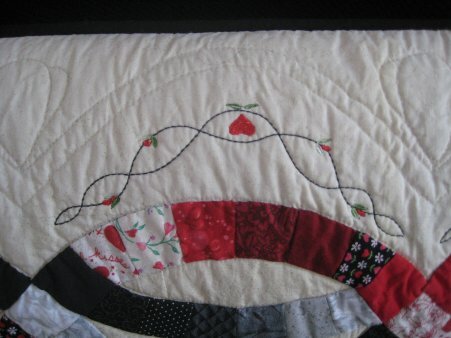 For this project, I used my machine embroidery designs to embellish the center sections and decorate around the outer arcs. The designs came from JD Designs, their JD133 Curlique set. In addtion to that site, Jericho Design also has many, many beautiful sets for sale at Oregon Patchworks. 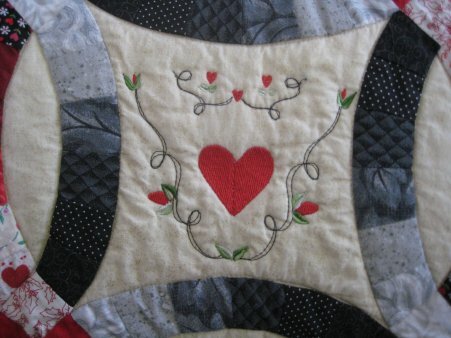 A two-track arch and a heart design finshed the quilting in the border area. To finish pillows, my preference is to put a zipper at the bottom of the pillow cover, so it's easy to remove for laundering. 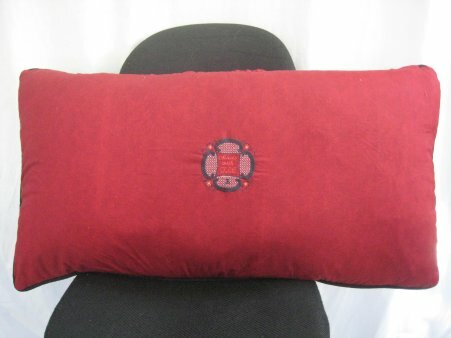 This leaves the entire back of the pillow available (if desired) for further embellishment. 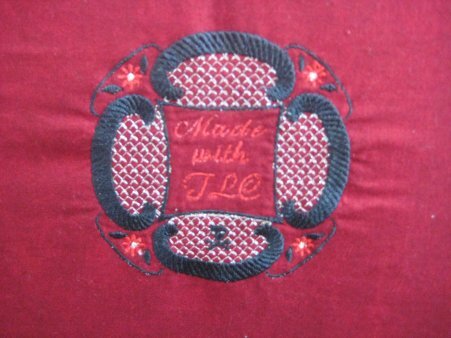 I used two designs for the back embroidery: the TLC frame came from Gorgeous Stitches (design identification pending); it was a freebie at the time. I merged a teeny-tiny skull and crossbones, which I obtained from Sew Forum, Free Embroidery Designs (which I can't find to provide a link for).